This amp is now discontinued and had been replaced by BAVSounds new Revenant amp, featuring 2x the output as before and custom tuned audio profiles unique to each BMW vehicle. Don't settle for just any 'generic' audio amplifier for your BMW. Trust in the experience and technical know-how of BAVSound as they worked with renowned German audio manufacture, Audiotech Fischer. 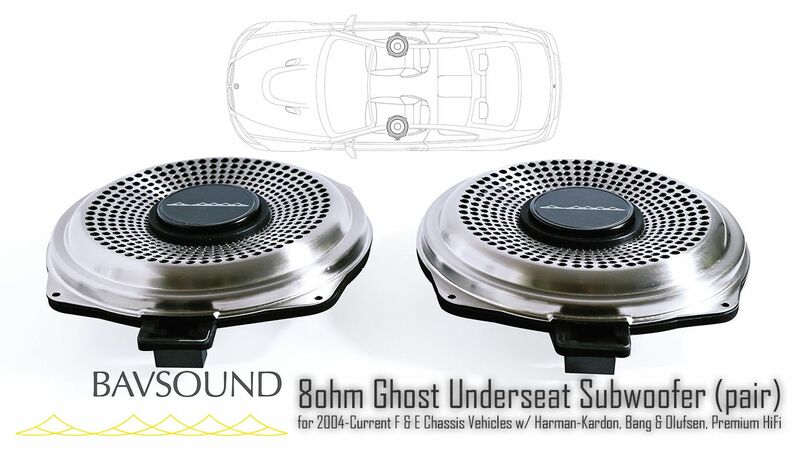 Designed to be a direct factory fit PnP component, their Bimmertech PP82DSP acts as the final icing on the cake for the ultimate audio transformation for your BMW. Providing more power to run at higher volumes with less distortion, and enhanced clarity and detail to every note. Don't just listen to your music, experience and feel it. 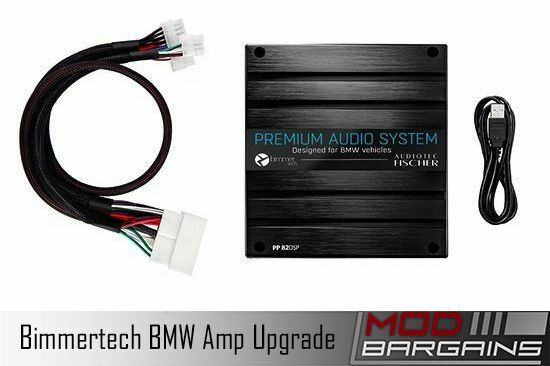 Make your daily-drive commute the highlight of your day, with BAVSounds Bimmertech amplifier. Best of all, this is an upgrade you can accomplish yourself in less just 60min. No cutting of wires or splicing involved, and no visual changes to your interior dash, just swap the unit in to your OEM trench location.